Your story could help someone understand that God is real and relevant and that He cares for each person beyond measure. So ... what's your story? How has God reached into your life—in big ways and small—to make you aware of His presence? 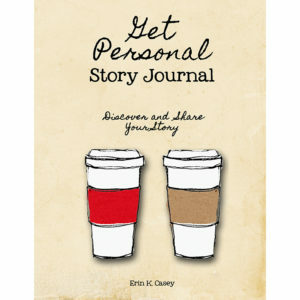 The Get Personal Story Journal is designed to help you think through your stories and consider how you can share them with others. Get your free Get Personal Story Journal here.